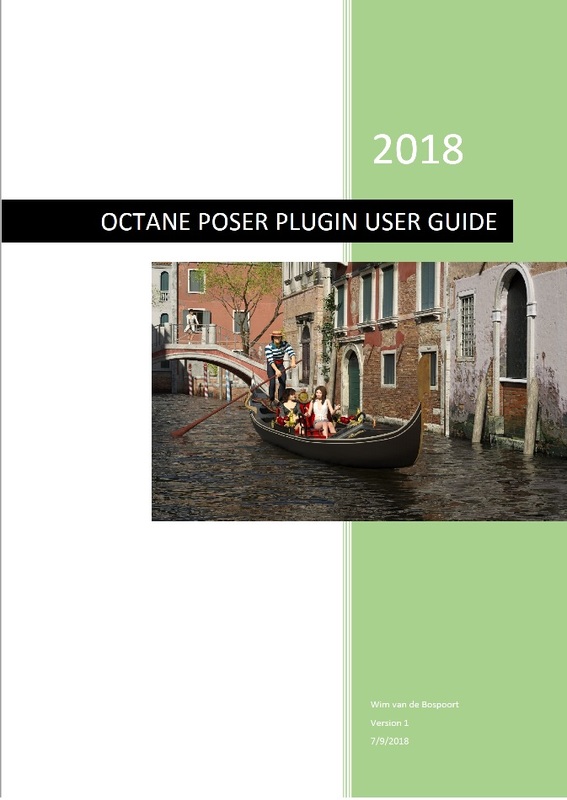 The current version of the guide can be found here: Octane Poser Plugin User Guide or by using the link in the Octane post at our homepage at Poserlounge.nl. @wimvdb - thank you, what a great resource! Could you post here if your guide is updated? A separate render thread might be a good idea. In the mean time, i am setting up a portfolio website for my Octane renders. This will be one with hdr color and large resolution (PMG16, not HDR) to show off a bit more. For most experienced users the first part will be less interesting (except the new stuff), but he second part is a great help. I even use it myself when I forget the details. I will post update notices at here, Poserlounge and Poser plugin forum at Otoy. Most of the Octane render functionality is covered now, except texture baking, OSL textures and Tooning. I have not quite figured out how they work and what I can use them for. Once I figure that out, I will add them,. And when Octane 4 is released, there will probably be an update as well. @wimvdb Sounds like a good idea having a thread, we should probably have a "Post your Reality Renders" thread too. Maybe if you start a "Post your Octane Renders" thread @shvrdavid can make it a sticky for you later on. @wimvdb thank you so much for this, wim! great work! Does Octane work with DSON imported G2 Figures like M6? Yes, like in the aliens in this image (although these are G1, i do not think it matters). Old image from 2013 rendered in octane v1. For your info: The next version of octane (v4) will have a free license tier for 1 pc with max 2 gpu cards. I have no idea when that version will be released; could be next month or take another half year. It is in beta now for licensed users, but no plugin available yet. @wimvdb Wim, for people that purchased a license - that means they could also get an extra free license to use with a second PC, right? I think you can, but i have no inside info to be certain of that.